Spelling & Grammar checking are the essential tasks of an article writing, we use free tools to Grammarlookup grammar check. 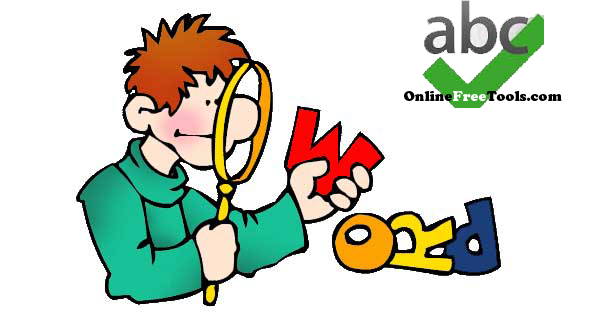 There are hundreds of websites that offers online tools to check spell and grammars. Either you are a freelancer writer or a blogger who is writing articles (posts), you should and must use spell check tools to find the spelling and grammars mistakes and to correct them (fix them). Once you use frequently then you will see your writing skills are improved. Even if your native language is English, you can’t to write error free articles every time, in case English is your second language that you can write and speak then you will find yourself having more grammatical mistakes and spelling errors. Writing Error free articles is important, not just for humans but also for search engines, if you are interested in writing for your website or a blog, then you may know the Google Robot doesn’t treat good with the contents of a website that has more grammar and spelling mistakes. We’ve previously published Online Plagiarism checker free, which were the same important online tools. If you have a document written by your friend for you and you want to check for spelling and grammar errors, a document can be a research paper, an assignment, an article, a blog post or a student home work. Let’s get started with some Best online tools that I have compiled for today post, Let’s say you have a document that has a number of grammatical errors you want to check and may be you are in doubt for some spelling and click here to visit this website to check punctuation. Do You Know? If you are using Google Chrome as your browser for surfing online, then it has built in (No need to install an extension) Spell check functionality but it has’t grammar checker feature, so you might also want to check grammar online, in case you are using other browser, let say Mozilla Firefox, Opera or Safari, then you will have to install an extension.We’ll be discussing best online tools that can be use for spell checking. Now let’s come to point of grammar checking, if you are using Microsoft Word 2007, then by default it will highlight the text with green line if there is an grammatical error, if you are using MS Word 2010 or 2013 then you will need to turn it on. Online tools and browser extensions won’t check your spelling and won’t highlight the grammar errors if you are writing on your PC, means if you are writing in a notepad file, Wordpad, Microsoft word or anywhere else even though if you are writing on your browser (e.g you are writing a comment on a post in social site or websites). Ginger software will check spelling and grammar anywhere when you type. You can use ginger software for free, to have access to advance features you will need to buy the premium version. Let say you have a document you want to check for grammar errors and spelling mistakes, How do you Fix? There are free online tools that can be use for this purpose. you will need to copy the text from the file and then paste in the text box and then click the button that say Spell Check. This is my personl recommendation, and it’s another post related to grammar checking, Online best free grammar checker post is all about the top tools and softwares. Spellchecker, The most popular spell check tools that will check text for spelling mistakes. what you have to do is to copy the text and paste in a text box, and at the top right side click on spell check. if there are some errors then it will underline them with red colour. PolishMyWriting, It work the same as Spellchecker.net. Simply paste the text to check for spelling errors and if some errors found then it will highlight them with red colour else it will pop up with a message that no errors found. Grammarly, Yes! The world’s best grammar checker, it has more features than any other online tool, for example you can drag and drop a text file to the text box and it will start processing. One down thing about this online tools is that it is not free to use, you will need to sign up for a free trial. Use it if it is too much necessary and important for you to check a text file for grammar mistakes thoughly. SpellCheckPlus, Another free online tool to check text for spelling errors as well as for grammar errors, Simply copy and paste the text and at the bottom right side click on check. PaperRater, Check academic papers, long articles, essays for spelling and grammar errors as well get suggestions for title, body and other parts of your paper. it is an advance proof reading online tools and the best thing about this tools is that it is free to use. These were some of the online tools that can use for spell and grammar errors. If you want to use spell and grammar checker with your blog then the WordPress plugin is available by AfterTheDeadline. It is also available as a Firefox Add on , Google Chrome extension and as an OpenOffice.org extension. I hope these online tools will be useful for you. feel free to use the one’s that you think the best for you. Great informative article It helped me a lot. thanks for sharing…. We're glad that it helped you. Thanks for sharing a tool with our readers, Bloggers and writers needs sophisticated editors and environment in order to write an error free article which is important not just for users & readers but also for search engines. and thus good ranking in search. you mentioned some useful resources in this post. I use "Paperrater", together with "Duplichecker" in order to find duplicate content and check guest posts. Really Nice article with awesome tools to check spell and grammer!! Till now I am using Ginger app for spell check but it have its own limitations. I will try out the listed online tools in this post. Thank you for appreciating. Try out online tools because it comes in handy too. Great List. Add http://proofreadbot.com as well to the list. I use that everyday. Thanks for adding another grammar check free and spell check online tool.